﻿ Mary Jane Thurston State Park - Ohio. Find It Here. Situated along the historic Maumee River, 105-acre Mary Jane Thurston State Park offers a variety of day-use and overnight activities. The Maumee is not only scenic, but also provides some of the best stream fishing in Ohio. Boaters have access to the river while history buffs may explore the remnants of the old canal.Northwestern Ohio was covered by a massive ice sheet during the Ice Age. As the ice melted, the area from Fort Wayne, Indiana to western New York was covered by a large lake named Lake Maumee by geologists. With the retreating of the ice, new eastern outlets opened and eventually present-day Lake Erie was formed.As the water drained from the state, swamps formed in the lowlands. 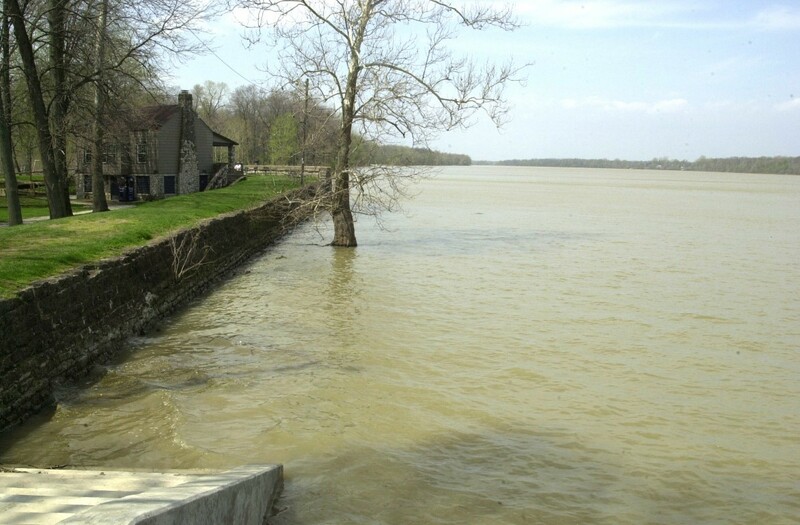 The Great Black Swamp, 120 miles long and 30 to 40 miles wide, included the Maumee Valley. The heavily wooded swamp was a barrier to westward settlement. By 1900, through the use of a major system of dikes and ditches, the area was drained. The dark soils of the old swamp became fertile agricultural lands.